The drive from the Airport takes 20 minutes. The garden are actually near the Entebbe Botanical Beach Hotel and while a drive from Kampala is roughly an hour and entrance fee is charged be for the activities. 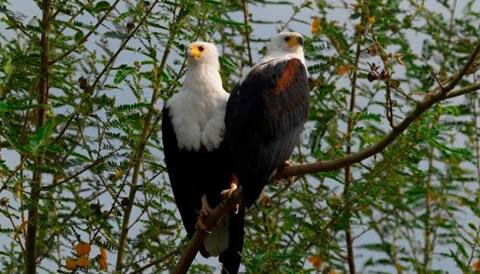 You will then be briefed by the site local guide and thereafter you head for your day birding experience. You will after return to catch up with your late lunch at your hotel. End of the 1 Day Birding in Entebbe tour. The 1 Day Birding in Entebbe package excludes expenses of personal nature like: Air fare, Visa, drinks, laundry, tips to local guides, telephone, porter fee while trekking, personal insurance, personal shopping bills and cigars.